Reach-In Display Coolers and Freezers are the perfect solution when there isn't enough room for a walk-in. How many glass doors will fit in your available space? of the numbers that will fit within your space. 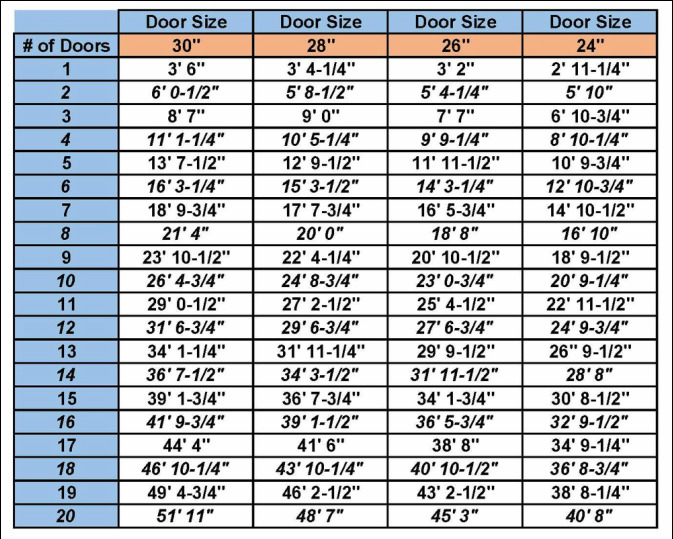 2a - If Door Size matters - Pick your Door Size to see how many door will fit within the space. 3. - For Display Reach-In Combination Cooler & Freezer "add" 12 (twelve) more inches to the chart dimensions. 4. CALL OR E-MAIL US FOR A QUOTE!